Picture this: You’re sitting on the couch after eating half of a pizza, feeling all the grease and salt and fat sitting in your stomach like a rock. One of the key tools for making all this goodness happen? Shakeology. It delivers a variety of nutrients, including antioxidants, fiber, digestive enzymes, pre- and probiotics, vitamins, and minerals. All you have to do is whip up a delicious shake with ice and water to start your day off right. For practical tips on how to make Shakeology a part of a healthy lifestyle and keep your wallet happy, Team Beachbody Coach Sally H. shares how she affords the Shakeology price on a tight monthly budget. I’ve got to admit, I didn’t always love Shakeology. Even though I researched Shakeology’s ingredients and thought they were amazing, for a long time, I was into making my own superfood smoothies. Due to budget constraints, I thought that making my own smoothies from scratch was the best I could do, and the best I could afford. But when I decided to participate in the Beachbody Challenge Contest, I ordered a Challenge Pack, which came with a 30-day supply of Shakeology, and signed up as a Team Beachbody Coach to get the biggest discount. • I DO NOT buy bottled water. The price of water in a bottle is ridiculous! I have a filter and make my own bottled water. • I DO NOT buy fancy coffee drinks. • I DO NOT buy gum, candy, cookies, any snackie things, or desserts. It wouldn’t make any sense to care enough about my health that I buy the best shake on the planet to nourish myself with and then turn around and tear down my health by filling my body with junk food. • I DO NOT eat out very often. Some months, I’ll eat out twice, and other months, I eat out zero. I buy good food from the store and make good meals at home. • I DO NOT subscribe to cable TV. We watch so many things online. • I DO NOT have a fancy phone or expensive plan. • I DO NOT have a gym membership. Instead, I work out right in my living room, at the touch of the remote, with Beachbody On Demand programs that are created by some of the best trainers on the planet. Plus, it costs me ZERO gallons of gas getting to and from my workouts. • I DO NOT buy extra vitamins and minerals. Because Shakeology delivers dense superfood ingredients, and with my healthy eating strategy, I do not need additional supplements. • Shakeology helps curb my junk food cravings. *† Because it’s so nutritionally dense, Shakeology gives my body what it needs in a form that can be easily absorbed. Plus, it’s so incredibly delicious that it feels like I’m having a treat. It’s the best of both worlds! • Shakeology is soooooooo convenient. I just add it to water and it mixes easily. • Shakeology is packed with superfoods. I used to buy separate superfoods to add to my smoothies. Then I realized that I was spending way more on my separate superfoods per month, even from discount sources, than I would spend on Shakeology. Compared to what I used to spend, I’m actually saving money by purchasing Shakeology! Before becoming a Shakeology fan, when I looked into the ingredients of other shakes there was always something in them that made it a compromise for my health goals. I have a health issue, among other things, and there are just so many ingredients I have to watch out for. Shakeology is the first shake that is filled with ingredients that are ALL the ones that I can have. I drink the vegan flavors and have been thriving on them. During the time that I thought I could not afford Shakeology, even though I was very impressed with it, I still thought I didn’t need it. It wasn’t until I began drinking it that I realized what a treasure it truly is. And I have never wavered in my conviction that I will always drink Shakeology. And yes, I drink it every single day. I believe that Shakeology affects my body in the best possible way when I drink it every day. If I were to drink it every other day, my results would not be as great. If I were to only drink it a couple times a week, my results would be even less. I get great results only because I drink it every single day. It’s my secret weapon. 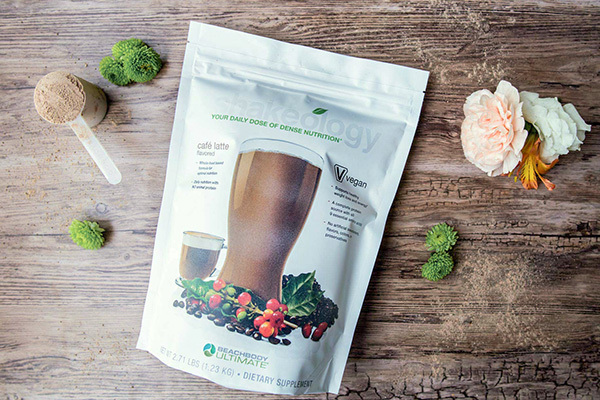 It wasn’t until I had it in my hands and had been using it every day for a few days that I realized what a difference Shakeology could make in my life, and I have not been wrong about that. 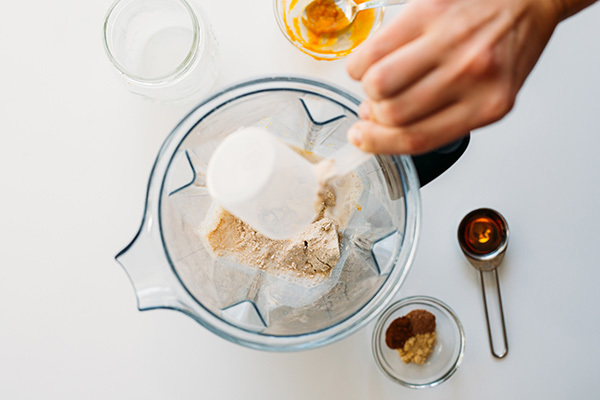 It is so powerful, simply because it is a blend of some of the most densely nutritious ingredients that money can buy — and to me, it’s worth it. I am worth it. My health is worth it. Ready to take the next step? Then set yourself up for success with a Beachbody Challenge Pack: You get Shakeology, a full year of unlimited workouts on Beachbody On Demand, and a free Team Beachbody Coach who can help support and motivate you to stay on track. Start here! And if you’re viewing this in the UK, click here to get Shakeology.